Home Commentary JUST JEFF: I don’t celebrate victories. 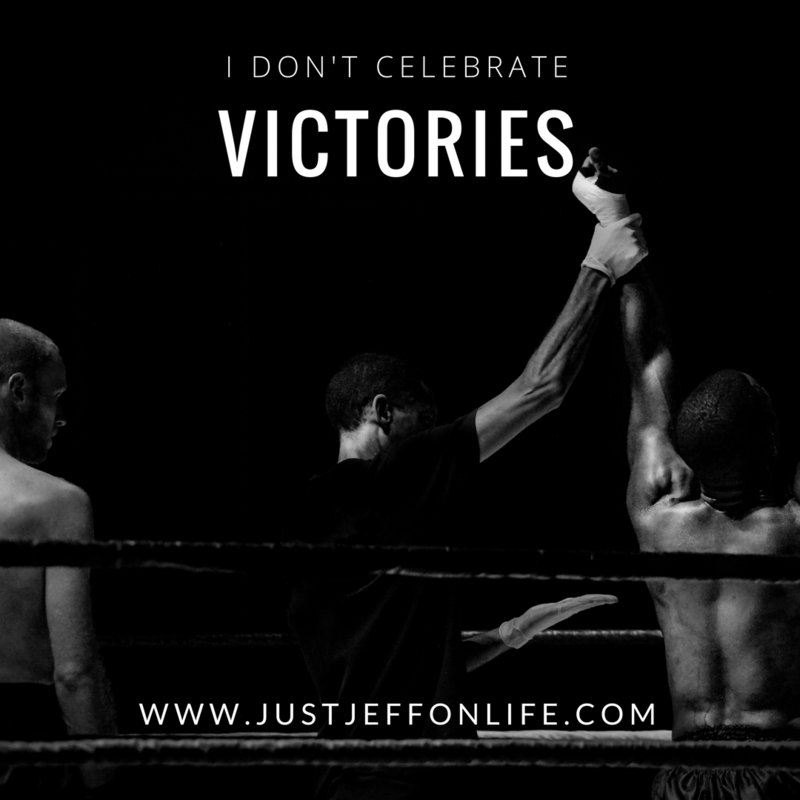 I don’t celebrate victories. It’s not that I tell myself I’m not going to, I just don’t celebrate them. To actually celebrate a victory, I have to be intentional. My victories are short-lived, typically because I’ve already got my eyes set on the next goal. Last summer, I participated in my first triathlon. Not having exercised in 8 years, never training on a bicycle and not knowing how to swim, I began training in early summer. Just over 2 months later, I swam a half-mile, biked 17 miles and ran 3.2 miles, completing all faster than I had hoped. With my eyes set on the next race just 3 weeks later, my ‘victory’ was relegated to a few short hours after the race, soaking up the morning’s accomplishment. I don’t think everything requires celebration, but I’ve recognized that I don’t celebrate anything. I never take a moment to notice my accomplishments. This facilitates a constant state of discontent. If I took moments to recognize ‘victories’, as I call them, or accomplishments, it would go a long way towards a sense of contentedness. In front of me are all the things undone. That list is perpetually unfinished; incomplete. I dwell on that list. Behind me is a longer list of things I have accomplished, to which I’ve given no acknowledgement. As I move forward in life, I’m going to acknowledge my accomplishments, believing gratefulness and contentment will follow.